The Excel Reclining Wheelchair (16" option) is only 24.5" inches wide and 44 lbs., making it one of the lightest narrow reclining wheelchairs on the market. Ideal for indoor use, especially in tight spaces, this wheelchair can also recline to 140° for added comfort, which is especially important for longer usage. The 10" headrest is removable and the back is 22" and folds for easier transport and storage. This product is sturdy and high quality, designed with a beautiful, chip-resistant chrome steel frame that is built to last. 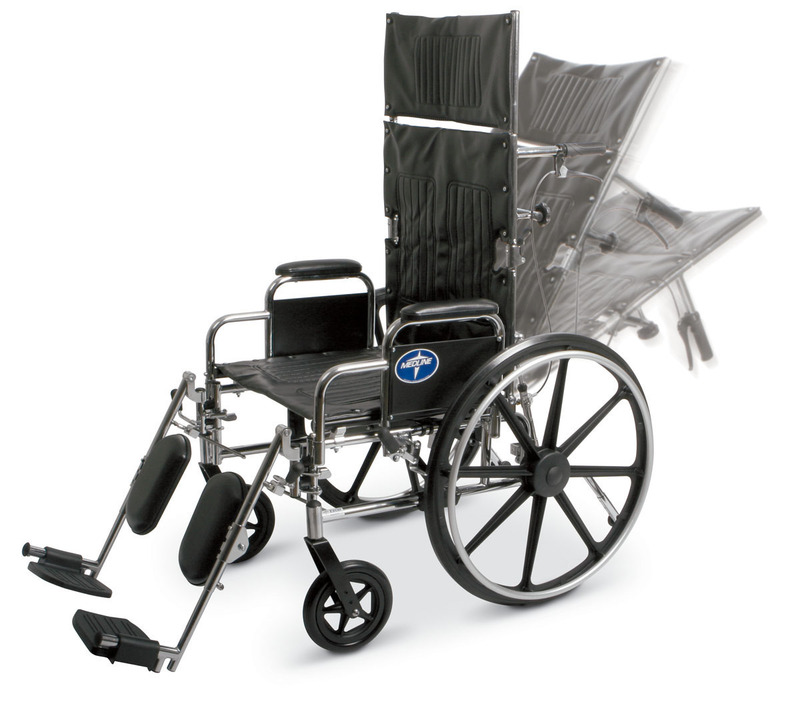 This foldable wheelchair glides smoothly over surfaces for a comfortable, pleasant ride. For your safety and comfort, this product is equipped with anti-tippers, as well as adjustable elevating legrests. Buy the Excel Reclining Wheelchair for a manual wheelchair you're sure to love. Available with a choice of seat widths and weight capacities for your perfect fit.